Stephanie McNaughton serves as the Horizon Elder Law & Estate Planning Client Services Director. She brings to the firm a broad range of business experience. Stephanie is a California Notary Public and holds a Bachelor’s Degree in Business with Emphasis in Organizational Management, with a minor in Psychology from Vanguard University. 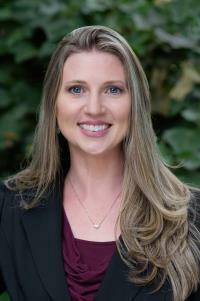 Since joining the firm in 2005, Stephanie has spent the majority of her tenure as the Business Manager, overseeing all Human Resources, Accounting, Billing, Marketing, Systems Development, is a California Notary Public and much more. Stephanie’s enthusiasm, rapport with clients and their families, and dedication has led to her current position as the Business Manager. Stephanie’s warm and genuine approach to clients cultivates client trust in a way that provides them with peace of mind that Horizon will provide the highest quality services in a most personal, compassionate and professional manner. Stephanie ensures client satisfaction and helps to create systems to better serve our clientele. She also assists other members of the firm with special projects to enhance the services we provide.